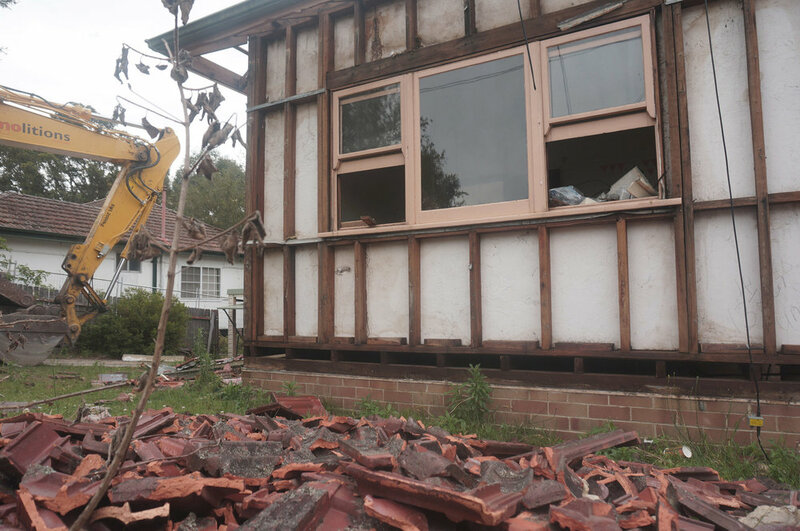 Home Demolitions - Asbestos And Demolition Home demolitions are the experts in home and building demolition with professional processes and services at affordable rates in Sydney. Asbestos may be a dirty word, but from the late 1800’s up until the late 1900’s, the substance saw wide spread use in Australia. As a result, the mineral is in all manner of construction materials from fibre cement board, to ceiling insulation and even in some paints! Although a total asbestos ban was implemented in Australia in 2003, this ban did not effect the asbestos already in Australia’s housing supply. Today, a large amount of Australian houses contain asbestos in one form or another and if your house was built or renovated before 1991 then there is a good chance it contains the deadly mineral. House stripped of asbestos, ready for structural demolition to begin. The many forms asbestos can take in the home can be divided into one of two categories: friable and non-friable. Friable asbestos refers to any asbestos product that is loosely bonded and crumbles easily, leaving its deadly fibres exposed. For this reason friable is the most dangerous of the two types of asbestos. Friable asbestos was generally used in loose-fill insulation products, known colloquially as ‘Mr Fluffy'. Asbestos fibres: tiny but deadly. 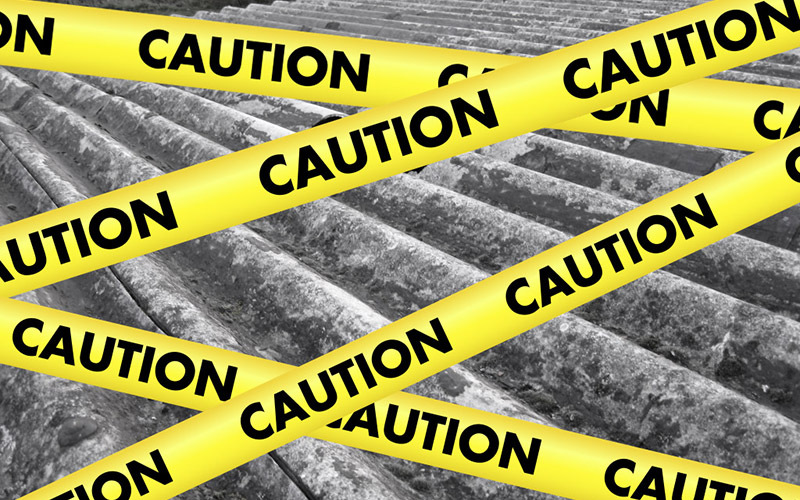 The second type of asbestos is known as non-friable, and as the name suggests, it refers to asbestos products that are more resilient, with the deadly fibres incased in another material, such as cement. This type of asbestos generally posses little immediate threat if left undisturbed and undamaged, but problems do arise if demolition is on the table, or if the asbestos fibres become exposed due to damage. Non-friable asbestos products include fibre board, corrugated cement fibre sheeting (also known as ‘Super Six’) and asbestos fibre roof shingles. As well as the places you would expect - like in the previously mentioned fibro board - asbestos can also be found in a variety of places and products you wouldn’t suspect, such as splash backs, underneath tiles, near fireplaces, underneath linoleum and in flue piping. An asbestos removal worker carefully place asbestos in a plastic covered skip. Before demolition works can begin any and all asbestos must be removed from the structure being demolished. This removal process should be carried out a few days before structural demolition by a trained and licensed crew of asbestos removal workers in the appropriate protective gear. During asbestos removal each piece of asbestos containing material must be carefully removed by hand, wrapped in plastic and placed in a skip for disposal. As you can imagine this process is tedious and time consuming, but it is also the only safe way to remove it with out dangerous asbestos fibres becoming airborne. If you are thinking about demolishing and suspect your house contains asbestos, it is important to get the property inspected so any asbestos can be identified and flagged for removal before demolition works begin.